In further proof of his enduring relevance, David Hasselhoff, affectionately nicknamed "The Hoff," has so far stolen the spotlight at this year’s Cannes Lions International Festival of Creativity. The Baywatch and Knight Rider star is schmoozing in the south of France as part of a social media experiment coordinated by the newly rebranded Golin. The actor kicked off the world’s foremost advertising and creative lineup with the "Relevance and The Hoff" seminar on Sunday. Golin created the #HofforNot game, which asks players to identify real and fake images of Hasselhoff. The idea was to get #HofforNot trending during the event to showcase the science behind how brands can use social media and real-time tools to stay relevant, just as Hasselhoff has done since he rose to fame in the 1980s. In the lead up to the event, Hasselhoff also starred in a series of personalized videos that he tweeted at celebrities and journalists, including Ellen DeGeneres, Jimmy Kimmel, and Simon Cowell, inviting them to play #HofforNot. Attempting a live social media experiment at Cannes was a brave move by Golin, the first PR agency to open the festival, considering it is competing with the World Cup for online chatter. According to reports, the game reached more than 62 million people through social media by the time of the seminar then attracted 12 million more during the 45-minute talk. #HofforNot was trending in London according to Trendsmap. PRWeek’s sister title Campaign, which has been getting in on the #HofforNot action, was able to correctly identify The Hoff when he took to the stage at Cannes. The digital campaign also attracted the attention of mainstream media. Speaking to USA Today’s Laura Petrecca on a beach in Cannes, Hasselhoff admitted that he was only able to correctly identify himself seven out of 10 times. 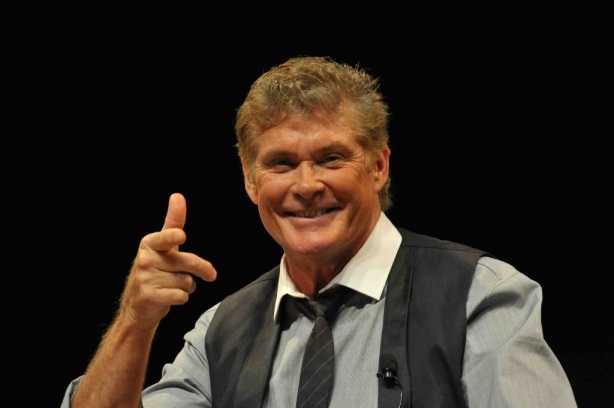 In an interview with The Wall Street Journal, Hasselhoff said that The Hoff’s brand has sparked an "epidemic of Hoffism." "I was looking to lose my name and now I’ve lost it. The Hoff has proliferated. It’s consumed Hasselhoff in many ways," he said.